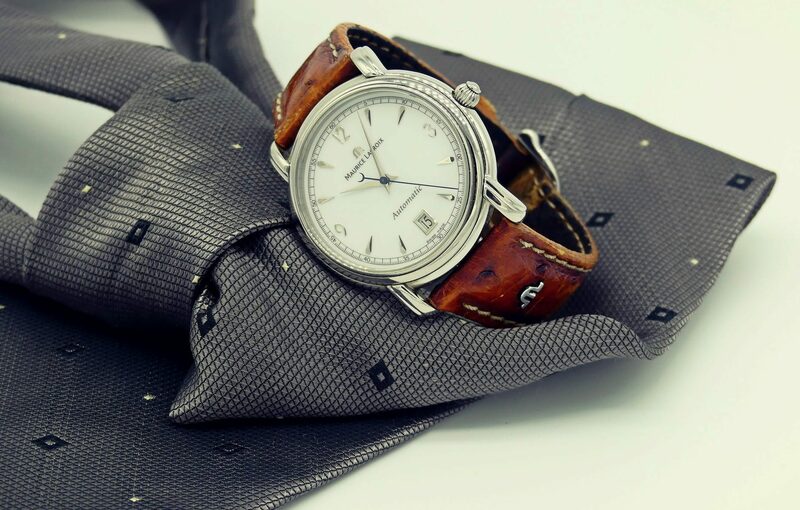 Men’s dress watches is a staple for any man’s professional’s wardrobe. A proper dress watch completes an outfit rather than overpowers it. The general guideline for a dress watch is a thin case (so not to get caught on the cuff of your suit) with a leather band. A good dress watch will have timeless style and a classic look that won’t go out of style as fashion trends change. We breakdown the top seven best men’s dress-watches and provide options from around $10,000 to over $20,000. This watch is a great example of what a classic dress watch should be. 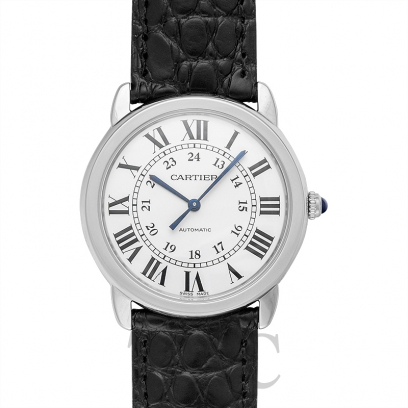 Roman numeral numbers surround the face and sharply crafted hands move around the dial. Featuring a black leather alligator strap and a fresh white dial, this watch is accented nicely without being overly flashy. For under a thousand dollars you get a watch that looks like it could be over ten thousand. 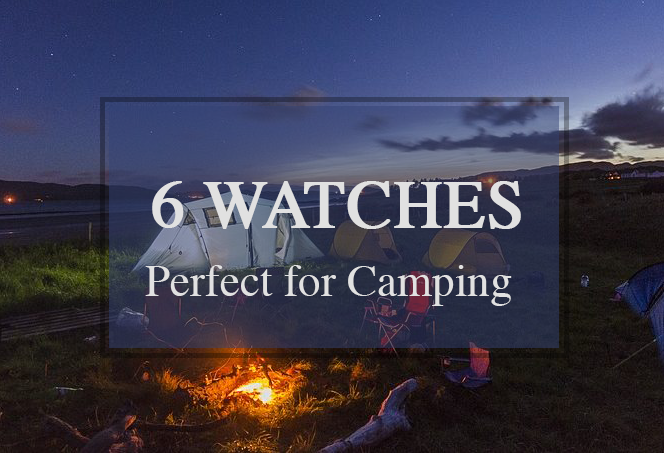 A perfect daily wear watch and a great way to get your feet wet in luxury watch purchasing. This watch’s price range is around $895. In 2008, Cartier stepped up their watch making in a big way by opening a watch manufacturing facility in La Chaux-de-Fonds. The watch has an in-house Cartier Calibre 115A quartz movement with date function. On the dial you have bold roman numerals, with military time numbering inside of this, all on a matte white face with black numbering. There is sapphire glass covering the sapphire hands on the face and the classic sapphire winding crown. The super clean black and white look of the watch combined with the signature Cartier sapphire crown is stunning. At a price range of about $3,000, this is a businessman’s best friend. 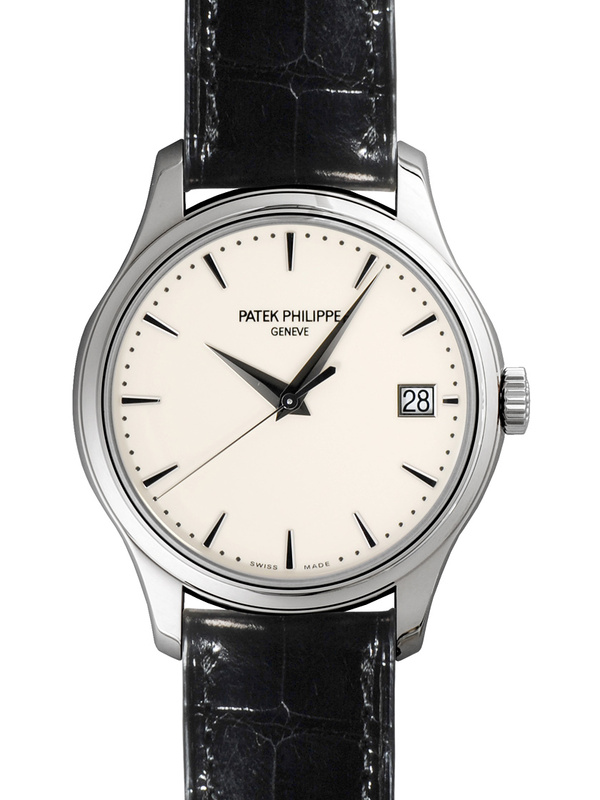 Elegant simplicity is what makes this watch one of our favorites on this list. The watch is casual enough for the weekends and classy enough to be dressed-up with a business suit. Meticulously finished, the polished case pairs nicely with the stained leather band. At the price, this is a fantastic option for an all-around dress watch. 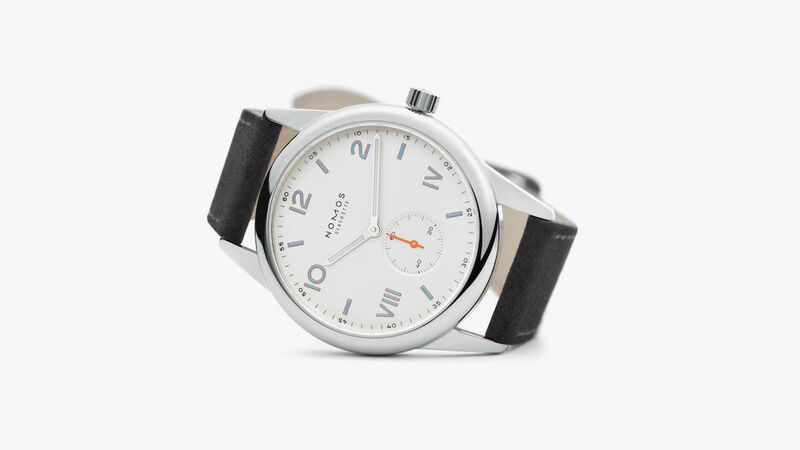 The price point and style that you get from the Nomos Club is a rare combination. 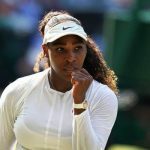 When you look at this watch it looks like a $10,000+ wristwatch. Having a watch like this for under three grands is a huge plus. This is a watch you can wear every day and not over worry about scuffing up – as you likely would do wearing a $10,000 or $15,000+ watch. This watch is slightly more out of the ordinary from the other watches we have picked. It is one of the few watches that uses just one hand to tell time. 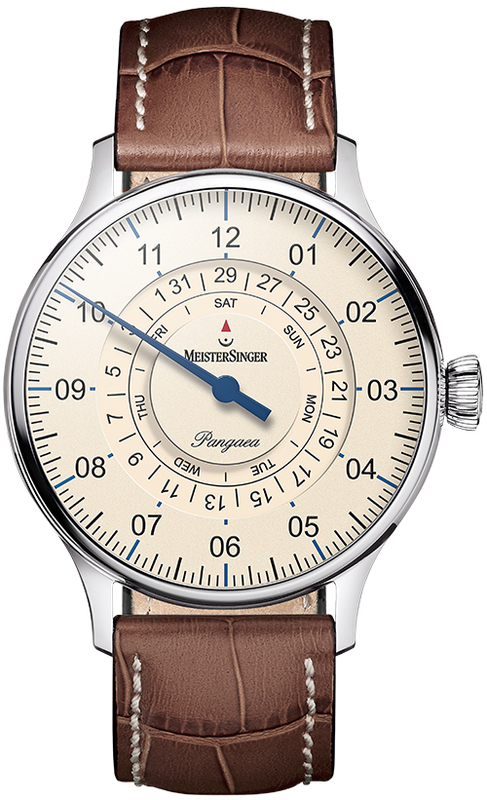 Based on the original methods of telling time, the Meistersinger Pangea Day Date uses a 12-hour dials that is divided by 144 markers. Each marker represents 5 minutes. The combination of the 15, 30, and 45-minute markers and the prominent needle pointer make it simple to read the time. On the back is a sapphire glass that lets you see into the automatic movement of the watch. Keeping the watch understated but extremely fascinating. 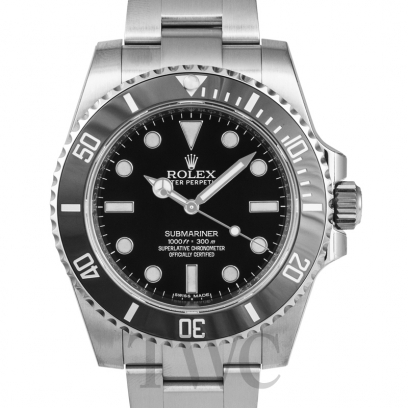 While I am breaking my original definition of what a dress watch should be – leather strap, thin case – it is hard to not include such a classic piece as the Rolex Submariner. After all, it was Sean Connery’s Bond watch. Constructed of ultra-strong space grade 904L stainless steel case that is hermetically sealed for impregnability, the Submariner boasts an amazing 1000-meter depth rating. This is truly an amazing timepiece that makes just the right statement when paired with a perfectly tailored tuxedo. The bold metal band and black dial on the Submariner add to the classy look. Because of its simple – and unchanged design for decades – this watch is one of the few “dive” watches that you can wear to a formal function. This watch is the benchmark for what a dress watch for the modern man should be. Powered by an automatic winding movement, the watch features a simple face with hours, minutes, seconds and the date. There are no numbers on the watch, simple bars as placeholders for each hour. 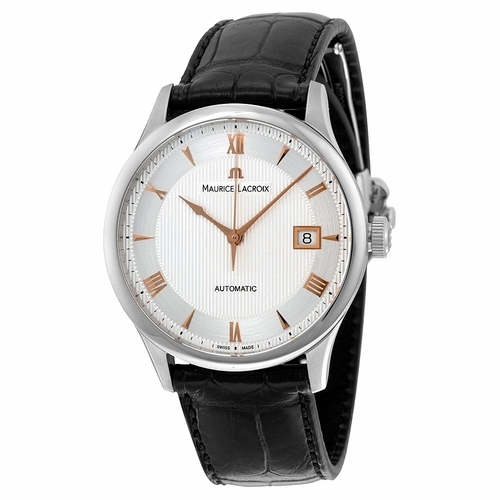 A clean black alligator leather strap finishes off the professional look. Flip the watch over and the expedition back gives you a glimpse into the inner workings. Now estimated around $20,000 and upwards, this watch is understated and gives you everything you would want from a dress watch. This is a great gift watch as well and offers amble space for engravings. 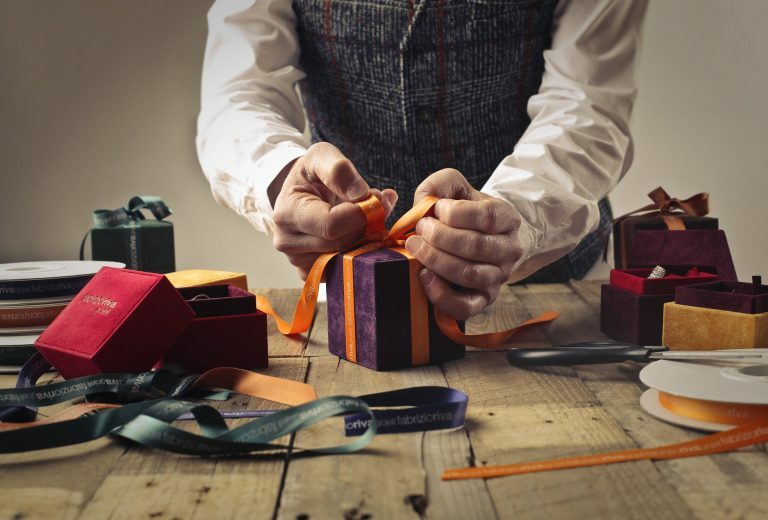 The exquisite simple design makes for a great heirloom. This watch is the perfect timeless time-piece. 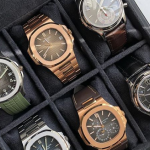 For more than 140 years, Audemar Piguet have been mastering the conception, construction and production of complications. Made in Le Brassus, Switzerland each watch is a masterpiece in of itself. 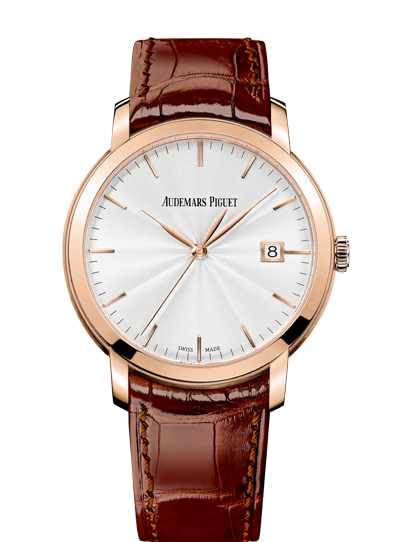 The Jules Audemars is an exceptional piece that portrays the brands elegant style and pursuit of perfection. A simple watch face powered by an automatic winding movement, this watch is the perfect watch for business professionals looking to step up their wardrobe. This watch can be worn carefully daily or saved for important meetings or events. Such a classic design can be easily dressed-up or dressed-down depending on the occasion. The stunning simple beauty of the watch speaks for itself without taking away from your overall outfit.